According to sources, corporators are pushing to bring in a city-level policy to regularise all illegal towers. But officials oppose the idea for it will lead to litigations. 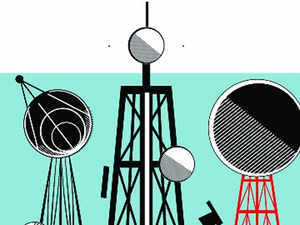 New telecom infrastructure regulations for Karnataka that are likely to be notified in a fortnight are set to put tower operators in a fix in Bengaluru. A majority of the telecom towers in the city are installed on rooftops of buildings constructed illegally, without a sanctioned plan or occupancy certificate (OC). The new rules will make these clearances compulsory for buildings housing telecom towers. This means, these towers will become unauthorised once the Karnataka Installation of New Tele Communication Infrastructure Regulations 2015 are notified. It is learnt that officials of the Bruhat Bengaluru Mahanagara Palike (BBMP) and councillors are divided on how to go about the rooftop telecom towers once the regulations come into force. The draft issued in February 2016 had proposed to make it mandatory for telecom tower operators to obtain necessary permission from local authorities. The regulation proposes to mandate telecom operators to submit a whole range of documents to the sanctioning authority, including location plan, site plan, structural stability certificate, sanction plan, occupancy certificate, ownership document, lease agreement deed and a no-objection certificate from the fire department. Sanction plan and the occupancy certificate are crucial. The civic body estimates the number of telecom towers in Bengaluru to be about 6,700, as per the self-declarations made by telecom operators two years ago. Of these, according to officials, at least 5,500 towers are built on unauthorised or illegal buildings. In the absence of a telecom policy in the state, the existing telecom towers in Bengaluru were installed without seeking permission from the local authority. The proposed regulation makes it mandatory for tower operators to obtain permission for existing infrastructure from the local authority by paying a registration fee. However, the challenge before the BBMP will be on how to handle towers built on illegal buildings. According to sources, corporators are pushing to bring in a city-level policy to regularise all illegal towers. But officials oppose the idea for it will lead to litigations. A case over regularising buildings with deviations and setback violations (Akrama Sakrama) is already pending before the Supreme Court. “A majority of these towers are built on buildings built in violation of building bye-laws. If the BBMP decides to regularise towers and give them the sanction plan and OC, naturally, it will also regularise the entire building,” a senior officer at the BBMP told ET. For instance, if a building owner has got a sanction for three floors, but has built additional two and has a telecom tower above that, regularising the tower will automatically lead to certifying the entire building as legal. “This is dangerous because a tower built on a building without OC and structural stability certificate is unsafe and hazardous,” the officer said. However, corporators favour the idea of regularising towers for a fee as it will bring about Rs 67 crore to the BBMP. “Also, it is practically impossible to remove towers by terming them unauthorised, as our lives are dependent on telecommunication,” said MK Gunashekhar, former chairman of the BBMP’s standing committee for tax and finance. It was during his tenure that companies were told to self-declare their towers. Officials said it was up to the council to take a call on how to tackle the issue. “The council can take a decision on regularising the towers by bringing in a city-specific policy,” said BBMP executive engineer Dharma Prasad.